Hi everyone! In my last two blog posts, I discussed organizing your games and activities and choosing your games and activities. 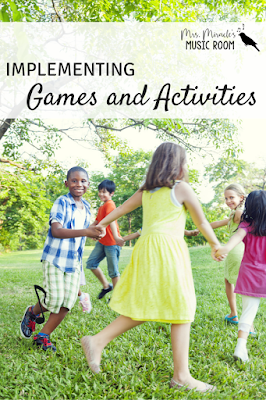 In this post, I'm discussing the best ways I've found to implement those games and activities that you have organized and chosen. There are a few layers of implementation. The first layer I tackle is plugging all of those games and activities into my long-range year plans, so that I remember to play them! I briefly discussed long-range planning in this blog post, but I'll give you a peek at a year plan and how I decide what to do, and when to do it! 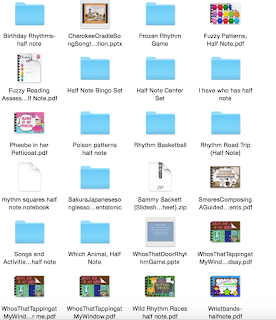 Since I'll be reviewing half note right at the beginning of this year, I'll probably just need the "all year" files. 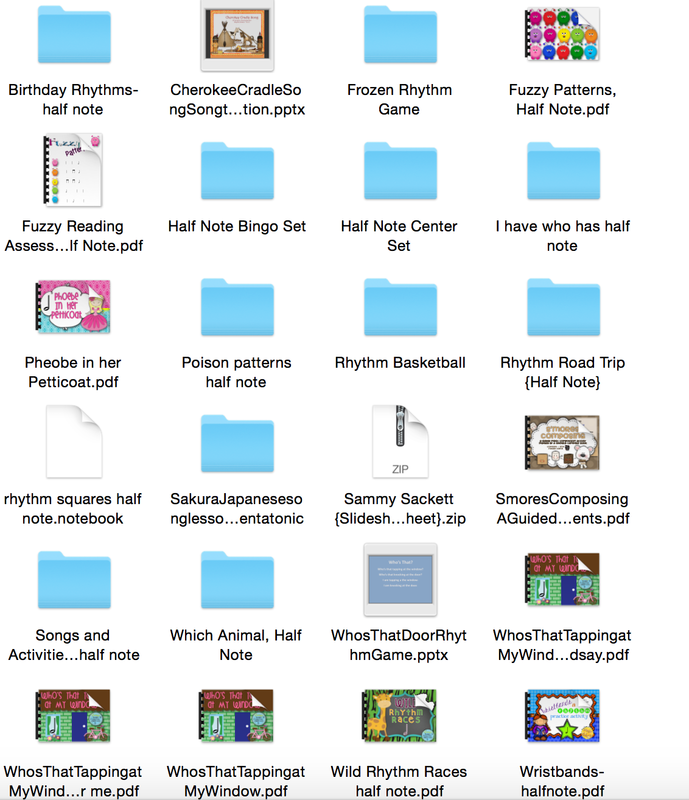 After opening up the "all year" folder, I see lots of stuff to use! Centers are a great way to review and practice rhythmic concepts; I could use my "I have, who has" game during centers so I could work with students in a smaller group. The "Which animal" file is a great way to identify half note patterns, and could be used as an assessment. Poison could also be used for half note identification as a whole group. Oh, but there's so much more in here that I want to use! I haven't yet used "Rhythm Basketball" by Pitch Publications, and it looks quite fun. "Sakura" is such a beautiful song...and those wristbands are so stinkin' cute! But I have to make some decisions (and only have so much time in the year before moving onto 4/4 preparation), so here goes! 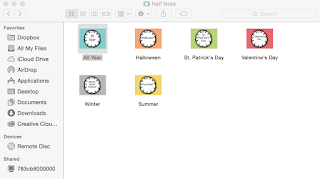 Of course, I still have lots of work to do, as I need to plug in files for re, 4/4, ti-tika, etc., until my year plan looks fleshed out AND I can make sure to use lots of the great files I have! 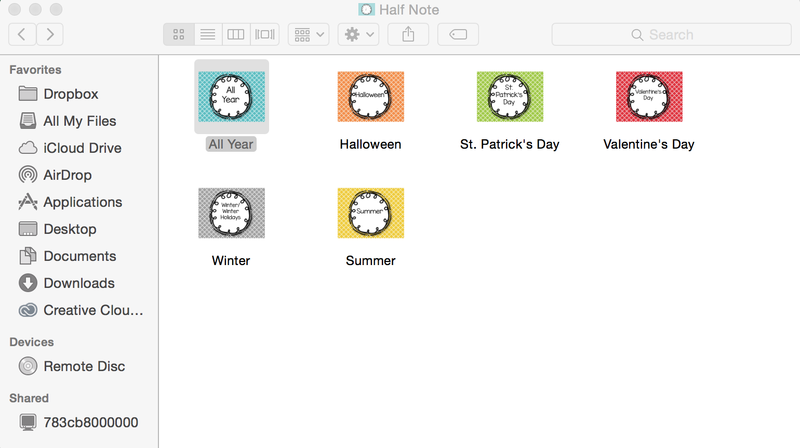 Another layer of implementation comes to actually using it in the classroom. One of the best pieces of advice I ever received was from my Kodaly Level I teacher, Julie Swank, about playing games. "Keep them wanting more," she said. Up until then, I had played a game over and over again until all students have had a turn, and that's pretty tedious and time-consuming! Although she was referring to singing games, I think this also applies to games and activities you play for student understanding. I don't want any of the games or activities to last too long...because I want them to play the game again in some other lesson! The last layer of implementation has to do with how much you play a game, but instead of within the same lesson, I mean within the year. Although my students would play Poison every single lesson and probably would love it, I want to make sure to keep them wanting more...so I may play it a few weeks in a row, and then leave it alone for several lessons. If students ask for it and we have time, I may play it...or I may not, so they are EVEN more excited when we do! I hope this 3-part series has been helpful for you, from organizing your digital resources, to choosing which games and activities you will play with your students, with how to implement into your year plans and your daily lessons. 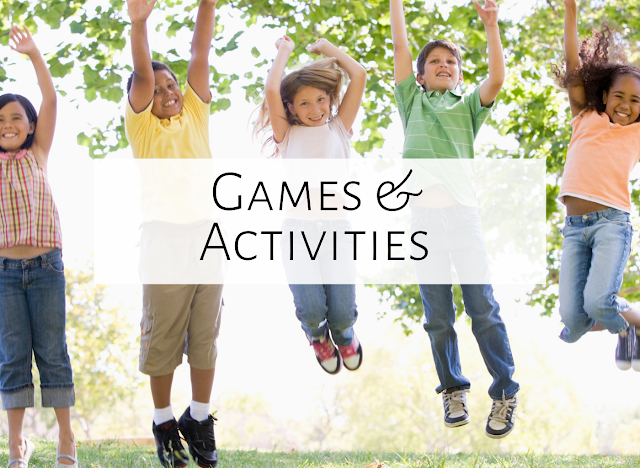 Do you have any advice for games and activities? Feel free to comment below! Question: How many songs/activities do you plan for each week per grade? Also, do you repeat them throughout the month or do you move on to another song/activity the next week? Thanks! Hi Amy! I usually have six or more activities/ songs with each lesson, but I see the students for 50 minutes. One week I might do one thing with a song, and in another week do the song again but do a different activity with it. So the students learn the songs really well, but we keep changing up what we are doing with the song. Hope that make sense! Thanks for the ideas! Every Friday, we review what we did through the week. They earn points for games, otherwise they review with silent worksheets. That way they get to play the games, reinforce material, and provides classroom management.